A spokesperson for the U.S. attorney in Los Angeles said Avenatti was arrested Monday in New York. While the two cases are separate and unrelated, the prosecutors in New York and Los Angeles say they did co-ordinate the arrest today. In New York, Avenatti was accused of threatening to use his ability to get publicity to harm Nike. Calling it "an old-fashioned shakedown," prosecutors say he tried to extort more than $20 million US from the company. U.S. Attorney Nick Hanna told reporters in L.A. that the case filed in Los Angeles on Friday and unsealed Monday paints "an ugly picture of lawless conduct and greed." Avenatti appeared briefly in court in New York Monday evening and was ordered released on $300,000 US bond. He did not enter a plea. Emerging from the courthouse, he thanked the federal agents who arrested him for being courteous and professional. If convicted on the bank and wire fraud, Avenatti could face up to 50 years in prison. New York prosecutors said Avenatti and an unnamed co-conspirator met with Nike's attorneys on March 19 and said they had a client, a former amateur athletic coach, who had evidence that Nike employees had paid bribes to top high school players to convince them to play for Nike-sponsored teams. Avenatti told Nike that he would go public unless it paid his client $1.5 million and hired him to conduct an internal investigation for between $15 million and $25 million, according to the complaint. Prosecutors in New York said Avenatti also offered to accept a $22.5 million payment to resolve the client's claims and "buy Avenatti's silence." 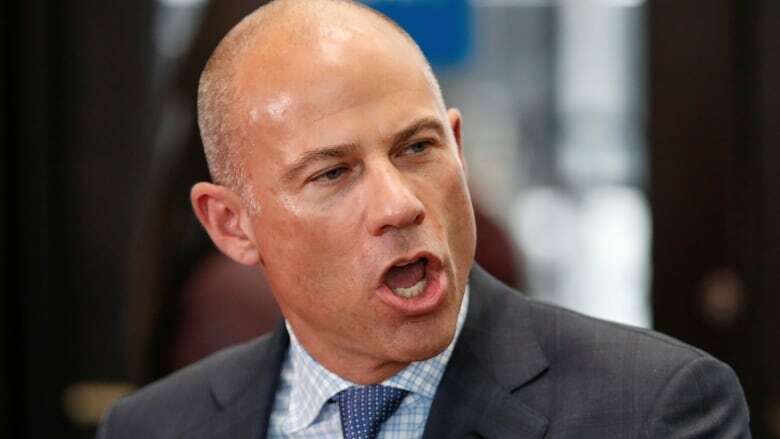 In a March 20 follow-up call with Nike's lawyers, Avenatti said that if his demands were not met, "I'll go take ten billion dollars off your client's market cap… I'm not f-cking around," according to the complaint. The charges carry a potential penalty of 47 years in prison. The court papers said the alleged co-conspirator, who was not identified in court papers, is also an attorney licensed to practise in California. 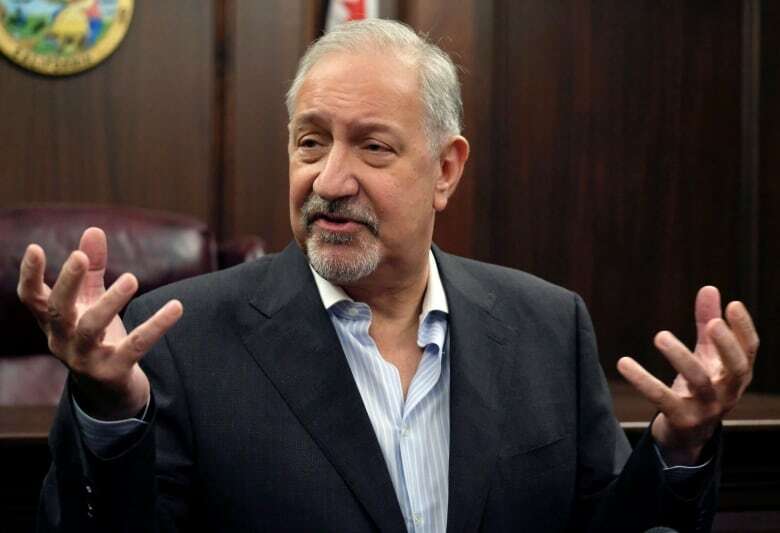 Two people familiar with the investigation confirmed that the unidentified co-conspirator was Mark Geragos, an L.A. criminal defence lawyer known for his work with celebrities. The people spoke on condition of anonymity because the information was not made public by prosecutors. The court documents said the client is a coach of an amateur athletic union (AAU) men's basketball program in California. The complaint said the AAU program coached by the Avenatti client was sponsored by Nike for $72,000 annually. Daniels tweeted she was saddened by the news of Avenatti's arrest, but not surprised. The arrest of a prominent Trump critic came a day after the U.S. attorney general released a summary of special counsel Robert Mueller's findings clearing the president's campaign of conspiring with Russia in the 2016 U.S. election. The prosecutors in both cases said the timing had nothing to do with the Mueller report. Trump's eldest son, Donald Trump Jr., reacted with glee to the news on Twitter, bashing out a series of tweets, including: "#MAGA - Michael Avenatti Getting Arrested!!!"